Max Factor Eyebrow Pencil. No make-up look is complete without neatly defined eyebrows; ask any make-up artist and they’ll tell you just how important it is! The secret is to make it look as natural as possible, which is why this brow pencil is ideal. The brush applicator subtly grooms and perfectly defines your brows. Even over plucked brows will look naturally fuller and thicker! 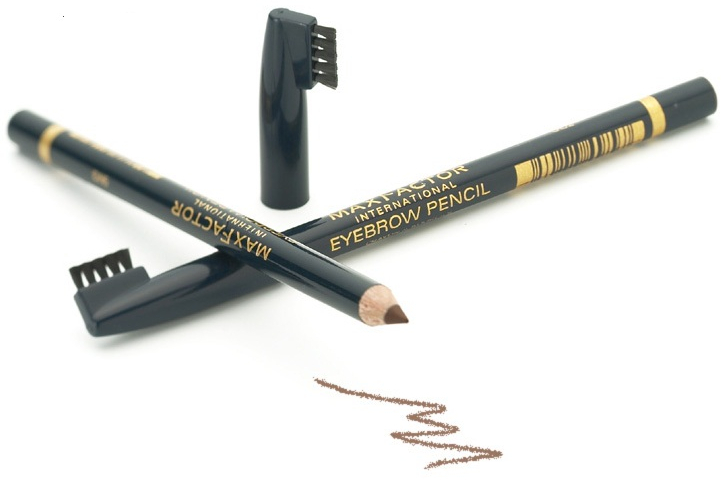 Let your eyebrows frame your face with our pencil and brush Eye Brow Pencil. Use an eyebrow brush to comb your brows upwards then outwards. Choose a sharp eyebrow pencil, one shade darker than your natural brows. Mark your brow above both corners of each eye and your iris to create a perfect arch. Use soft sweeps in the direction of your hair growth to fill and shape your brow.